Last week, just as annual seed catalogues were hitting the doormats of eager gardeners, the UK and Ireland Seed Sovereignty Programme were celebrating Seed Week, designed to put the spotlight on the small-scale commercial seed producers growing for seed, right here on home soil. By highlighting one commercial producer each day of the week, the campaign was designed to encourage gardeners and growers to change their purchasing habits and plant seed from local, organic and small-scale producers in 2019. 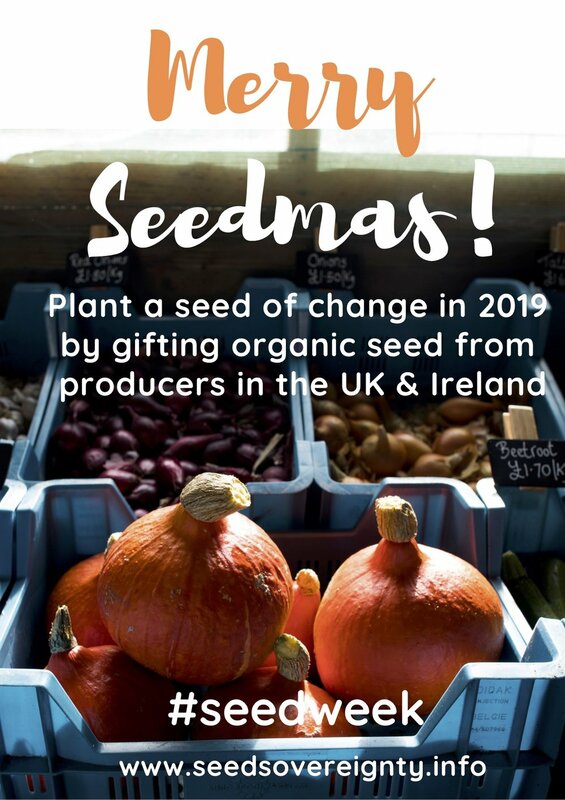 Real Seeds in Wales, the Irish Seed Savers Association, Vital seeds in Devon, the Seed Cooperative in Lincolnshire and Brown Envelope Seeds in Ireland were all featured daily in the campaign. Through a series of beautiful short films and interviews, viewers were invited to discover where the producers’ passion from seed started and to get a behind the scenes look at the growers’ gardens and greenhouses. “There’s so many reasons to buy local, agroecological seed. Buying this kind of seed is of course a more environmentally sustainable option, but I think the main reason to buy is because you’ll end up with a better vegetable crop. The majority of the seed available in the UK is grown in far-flung climes, much warmer and drier than the UK. This seed is often not well adapted to UK growing conditions. By buying local seed, you’ll end up with plants that are better adapted to your growing situation.” Said Ellen Rignell, Trill Farm and the UK & Ireland Seed Sovereignty Programme. We urge everyone to support and create a richer food culture by buying and planting locally produced, agro-ecological seeds in the year ahead.